Our folded box sources are ideal holding higher volumes of materials. These box sources can be made from molybdenum or tantalum and can be offered in an alumina coated version. The boxes can be used by themselves or baffles and covers used to reduce the potential for particulates in your vapor stream. 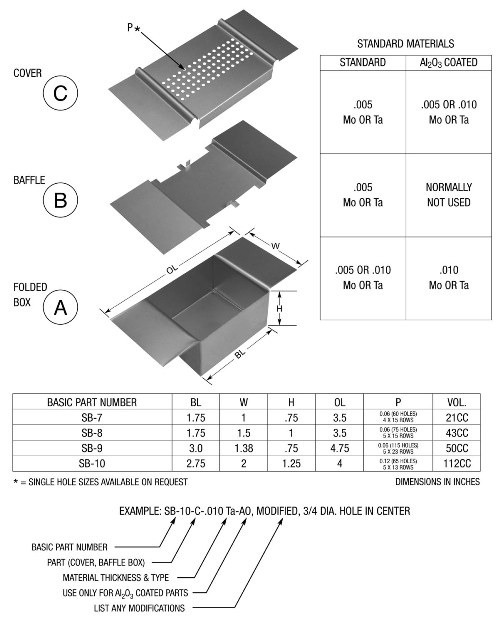 Custom sizes are always available as well as single hole or multiple hole cover configurations.